Hashtags, photos and links. How to gain and keep new followers. Turn off automatic reposts from fb to twitter. Use @ for a person # for a topic. 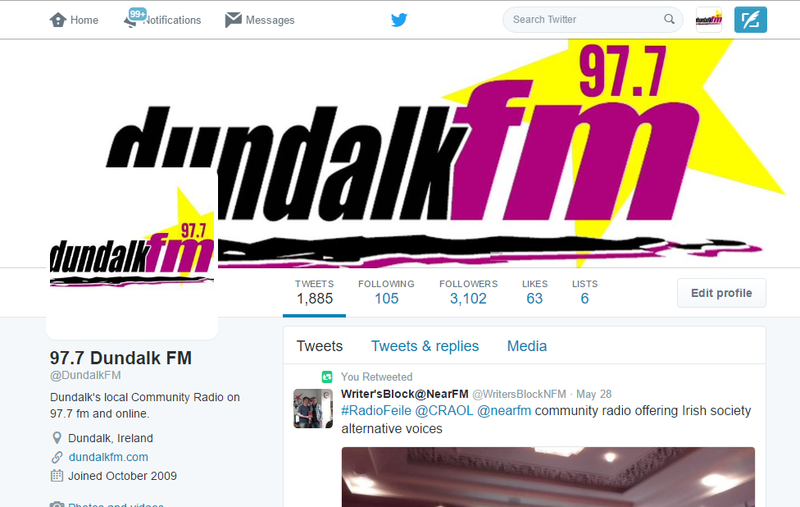 Follow all local businesses and Dundalk FM shows. Avoid Big News media and companies. Use fb and twitter to get guests. Tweet guests before and after (use pictures and photos). @Joe Bloggs will be in at 11am to talk about #hisbag. Don’t just share a fb post – make an effort! Use & instead of ‘and’. Don’t post anything with grammatical errors – use full stops, commas and capital letters if appropriate. Put news on your website and link from twitter. For larger events target people with fb ads. Programmers should let the station if they have social media for a show. Want to improve your Social Media skills? If you have a passion for social media, photography, video making, vlogging, podcasting let us know – we would like to hear from you. 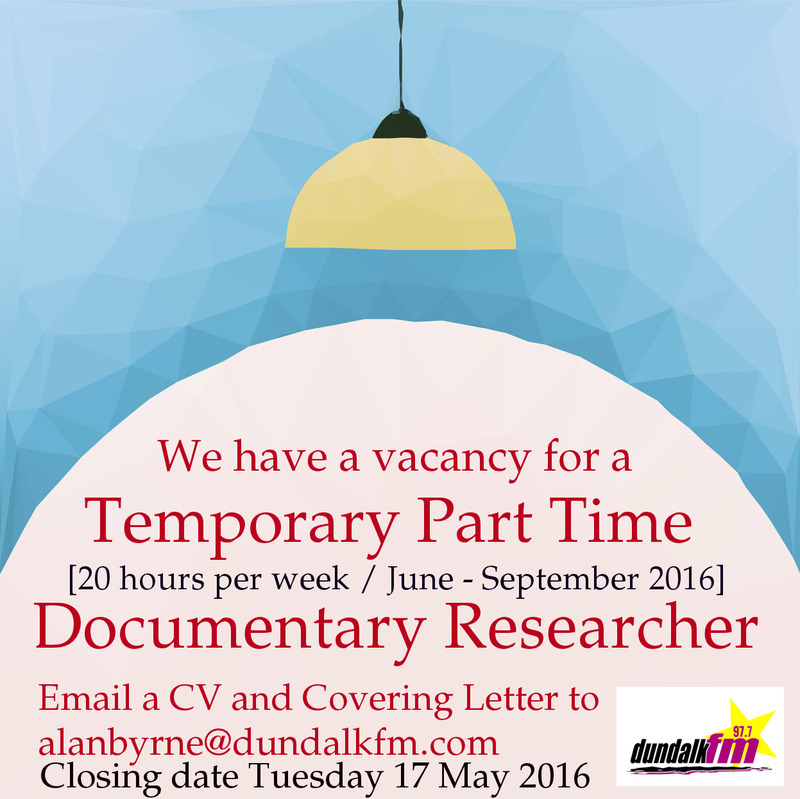 Dundalk FM have a part time vacancy for the position of Documentary Researcher to work from June until September 2016. This position is for 20 hours per week. Candidates are asked to demonstrate their ability to research ideas and compile applications for radio documentaries. An interest in journalism, Irish culture and community development would be an advantage. The closing date is Tuesday 17th May.